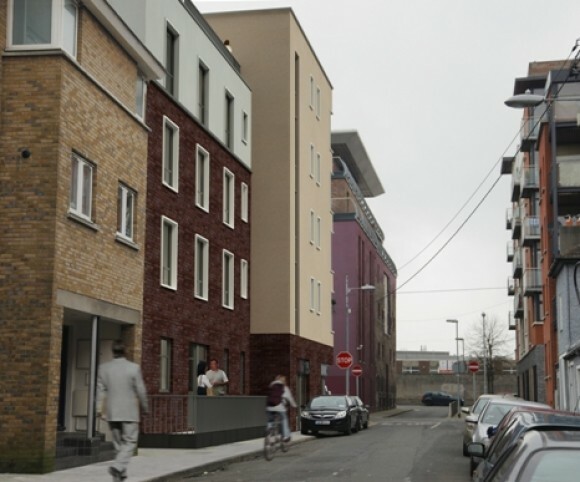 Mixed Use Development at Newport Street, Dublin 8. 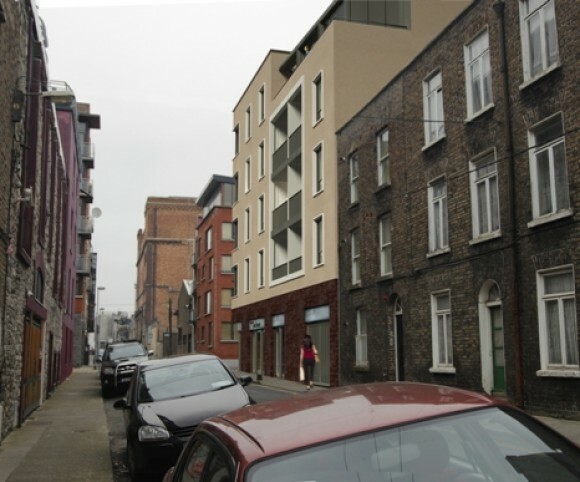 An infill development of 12 2-bed apartments on a corner brownfield site in the historic Liberties area of Dublin. 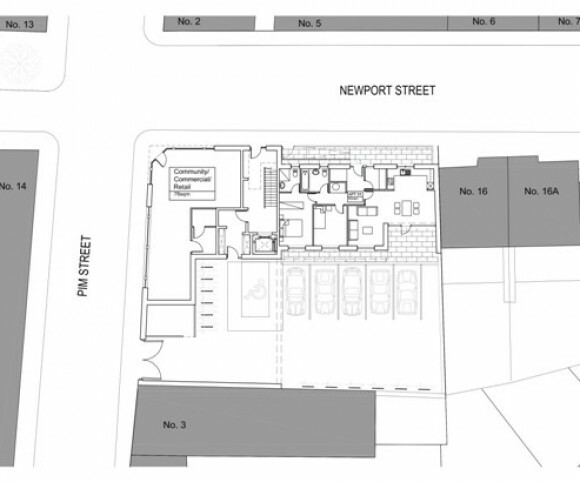 An exercise in unpretentious place making and cost-effective design to maximise the potential of the property. 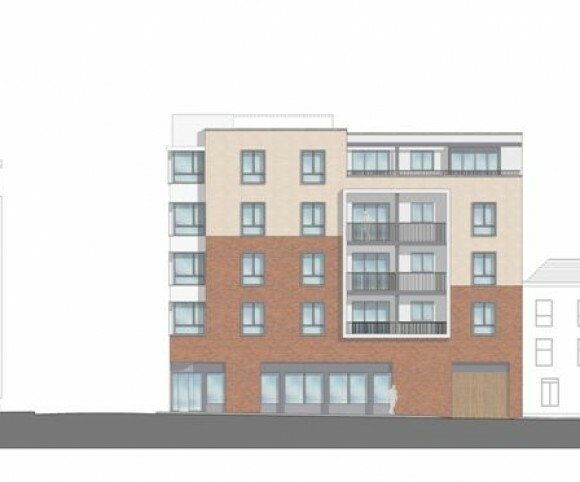 The design is highly contextual in both form & materiality and intended to compliment its surroundings. 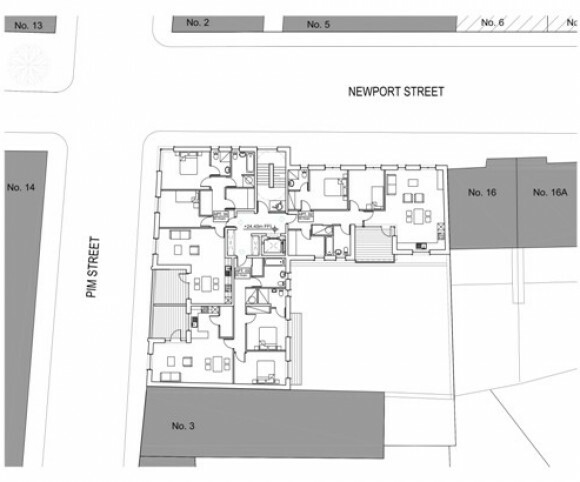 The 12no apartments are set-out over 4 & 5 storeys over a ground floor commercial unit. All are dual aspect and have a southerly orientation for best use of passive solar gain. Inside the apartments the full requirements of the development standards have been achieved. The average size is over 80sqm and the living rooms are spacious and dual aspect with direct access to the private terraces. All have master bedroom en-suites with all bathrooms having windows.